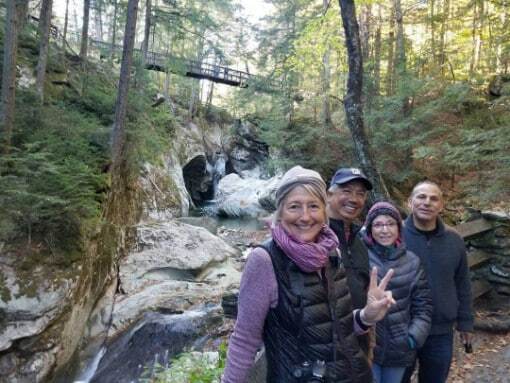 Our day tours are perfect for people who are already in Vermont, or for those just visiting for a short period of time. We’ve packed a ton of interesting places into an 8-hour tour that visits the best attractions in the Montpelier and Mad River Valley areas. Note: Due to Winter road conditions, this tour is only available in Spring, Summer, and Fall. Great state, great tour, great tour guide! 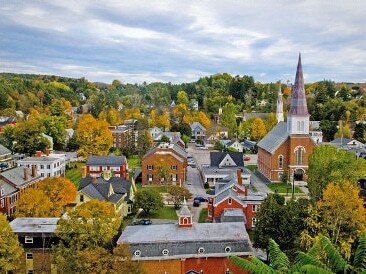 Our tour begins with a drive to Montpelier, Vermont’s capital city. With a population of just under 8,000, it is the least populous state capital in the United States. 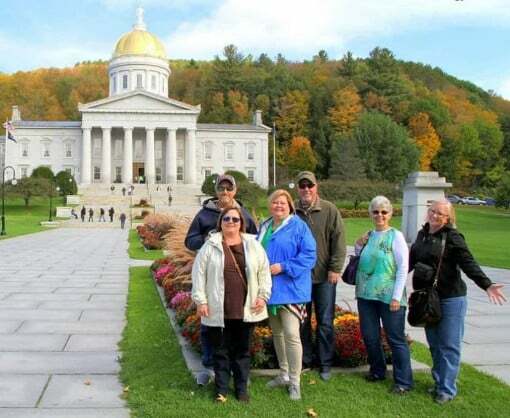 There we will tour the Vermont State House* with a dedicated tour guide who will teach us some history and answer any questions that you might have. The Vermont State House is one of the oldest and best preserved of our nation’s state capitols. After 140 years, the State House still commands Montpelier, and the House and Senate chambers remain the oldest legislative chambers in their original condition in the United States. * The Vermont State House is closed for visitors on Saturdays and Sundays. Our weekend tours will therefore admire the state house from outside, then explore downtown Montpelier by foot. 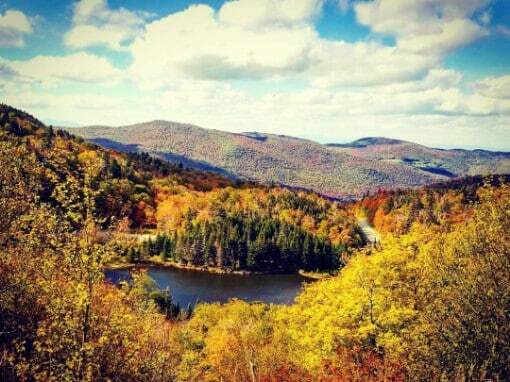 Most of our day will be spent driving through VT Route 100, which features some of the most spectacular mountains and valley views in New England. Our adventure through the mountains will pass by Mad River Glen (single chair lift ski resort) to the top of Appalachian Gap (elevation 2,369 feet). Appalachian Gap is a mountain pass that crosses the Long Trail, a 270-mile long footpath that runs from Massachusetts through Quebec. From the top of Appalachian Gap we will take in glorious views of the Champlain Valley and the Adirondack Mountains. 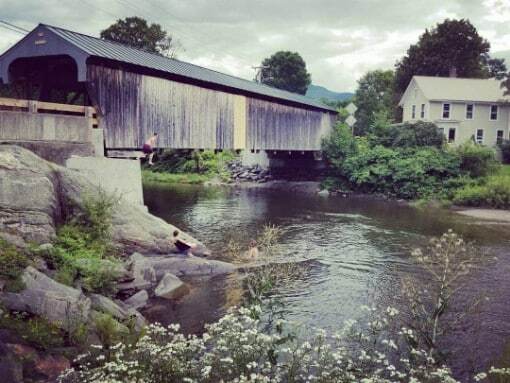 Our next stop we will be at one of the oldest covered bridges in Vermont (“The Big Eddy”) in Waitsfield. Built in 1833 and situated at the center of the Mad River Valley, Waitsfield provides visitors with a charming glimpse into small-town America. The Mad River Valley is located between two popular ski resorts, Sugarbush and Mad River Glen. We will spend time strolling around the town, which offers many small and interesting local shops. 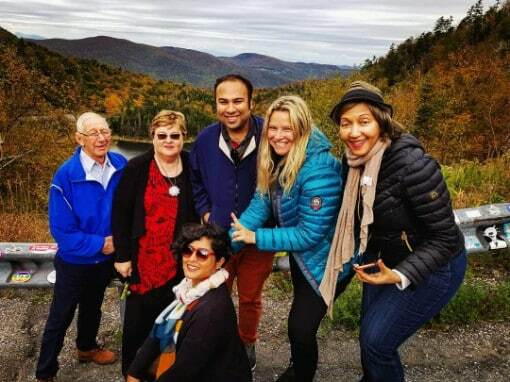 Best guided tours in Vermont! Our next stop of the day will be in Warren village, where lunch will be available for purchase at the Warren Store. 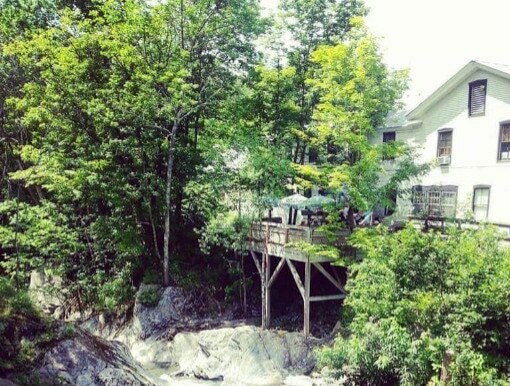 As part of the Vermont Fresh Network, The Warren Store offers amazing food that is popular among the locals. 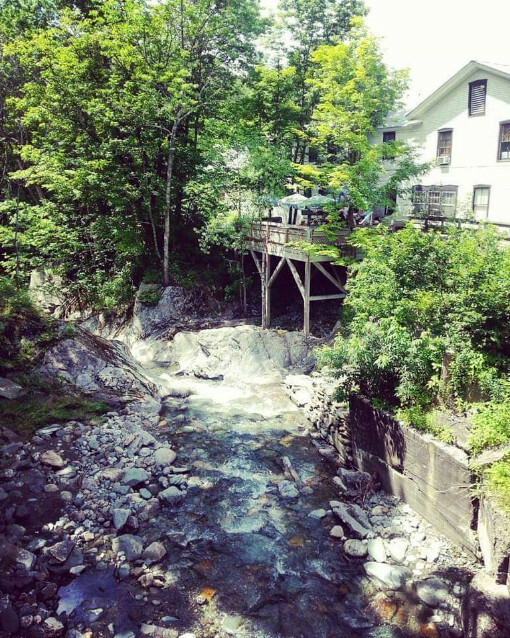 Our favorite place to eat is outside on their picnic tables by the brook, with the relaxing sounds of the Mad River babbling in the background. The Warren Store features its own deli, bakery, wine shop, and gift store. 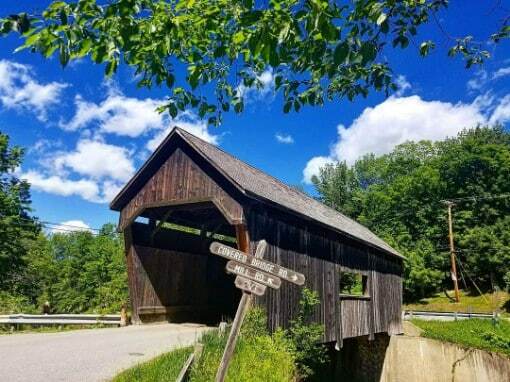 It is within walking distance of the Warren Covered Bridge, which crosses the Mad River and is listed on the National Register of Historic Places. 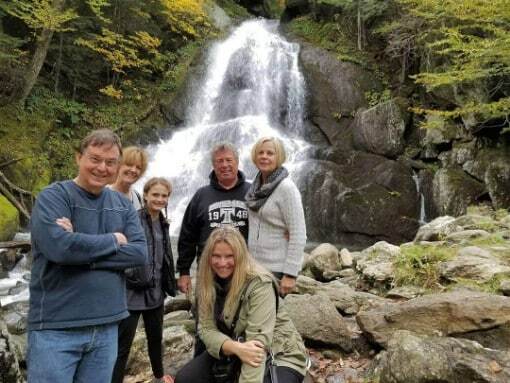 After leaving Warren, we will drive through the Green Mountain National Forest, continuing our journey to Moss Glen Falls (one of Vermont’s most photogenic waterfalls). This location features many places for photo opportunities, from the river to the end of the boardwalk to the road itself. Moss Glen Falls cascades over 30 feet into a large pool at its base. The falls tumble over rock ledges and boulders, part of the Hazen’s Notch Formation, made of schist with black graphite and pyrite. 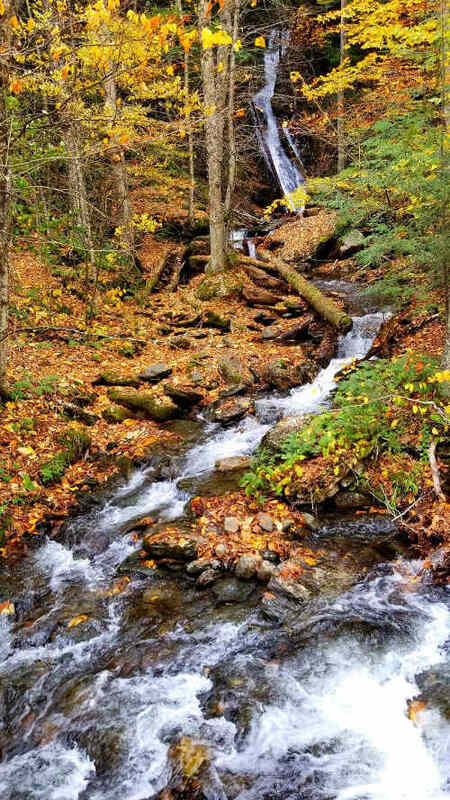 The water flows from the Deer Hollow Brook watershed, originating more than two miles above the falls in the Green Mountain National Forest. Our final stop of the day we will be at Texas Falls, which is managed by the U.S. Forest Service. 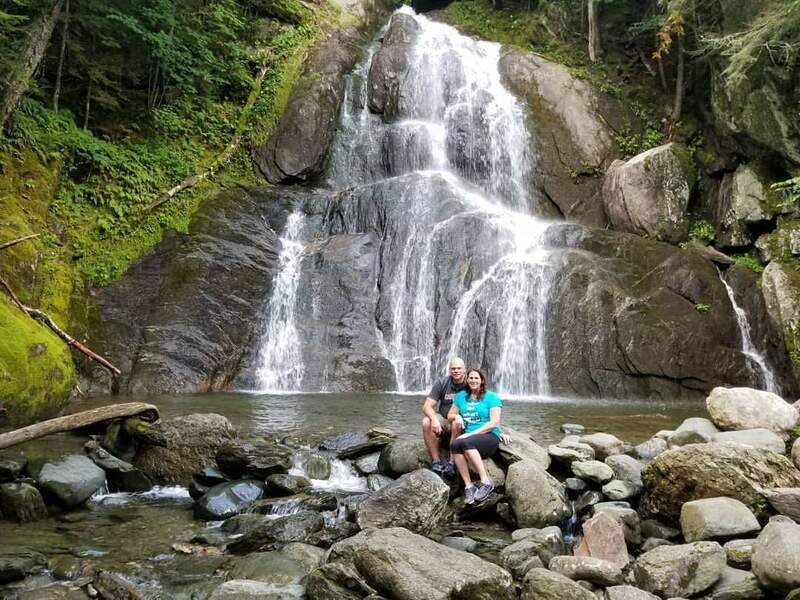 Set in the middle of the Green Mountain National Forest, this waterfall forms two small plunges with a deep green-blue pool between them. Both plunges are equally beautiful, flowing through a narrow ravine. The water is sourced from the Texas Brook, which leads into a 35-foot punchbowl drop. The best views are from the bridge, which we can walk on and admire the scenery of this popular location. 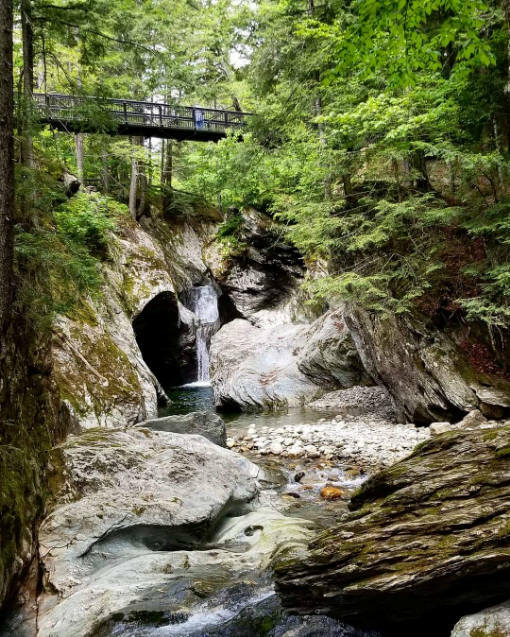 “Our guide and owner of Vermontology was an amazing narrator of this beautiful state and the little hamlets that dot this green state. 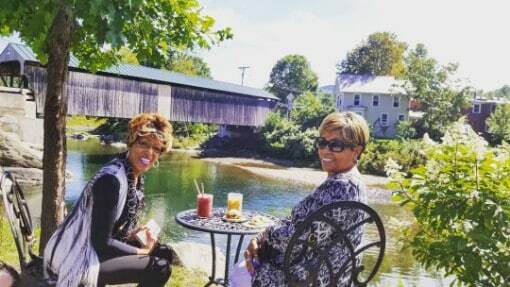 While being a cosmopolitan and well traveled lady she has taken to the way of life in this laid back part of our county and it shows in her work.